CG and her dude are flying in and out of Athens, arriving on day 1 at around 9:30am. They know about how many days they want to stay in places, so I'm basing this trip off of them wanting to spend 2-3 days in Athens, 3 days in Mykonos, and 4 days in Santorini. I think it's a good amount of time in each place, but I also think they could decide to do a quick overnight stopover on the island of Naxos in lieu of one of the days in Athens, and still see quite a bit! Arrive in Athens and take a taxi (or Welcome Pickups!) to the hotel. Some hotels will let you check in early, but 90% of them will at least let you leave your bags there! I recommend staying in the Plaka area of Athens, because it's a very cute neighborhood, and it's really close to a lot of the biggest sights in Athens. Find a nice place to have lunch, then wander around to get a feel of Athens, or take a walking tour to get better acquainted. Night in Athens. TRAVEL TIP: We used the company Welcome Pickups several times in Athens and were super happy with our experiences! You can schedule (and pay for) pickups in advance, and the drivers are all very nice and professional, and know their roads! The prices for Welcome Pickups are very comparable to taxis (cheaper in some cases), and they're very dependable. We had a group of 7 for some of our transfers and they got us all where we needed to go like champs! Athens sightseeing! Go to the Acropolis early, as it gets HOT and there isn't a ton of shade. Spend 2-3 hours exploring, then walk across to the Acropolis museum. Have lunch, then, if you're feeling adventurous, hike to the top of Mount Lycabettus for the sunset! (You can also take the funicular railroad up and down the mountain.) Night in Athens. 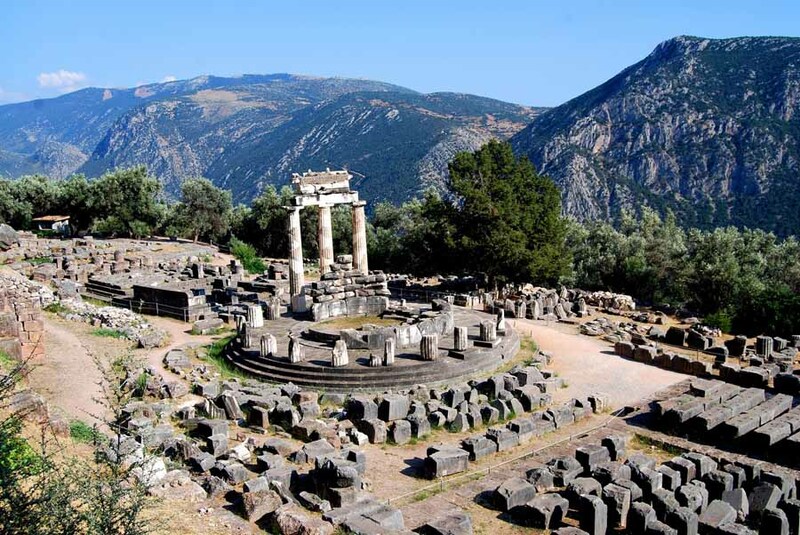 Day trip to Delphi. Shorty loved this day trip when she did it last April! 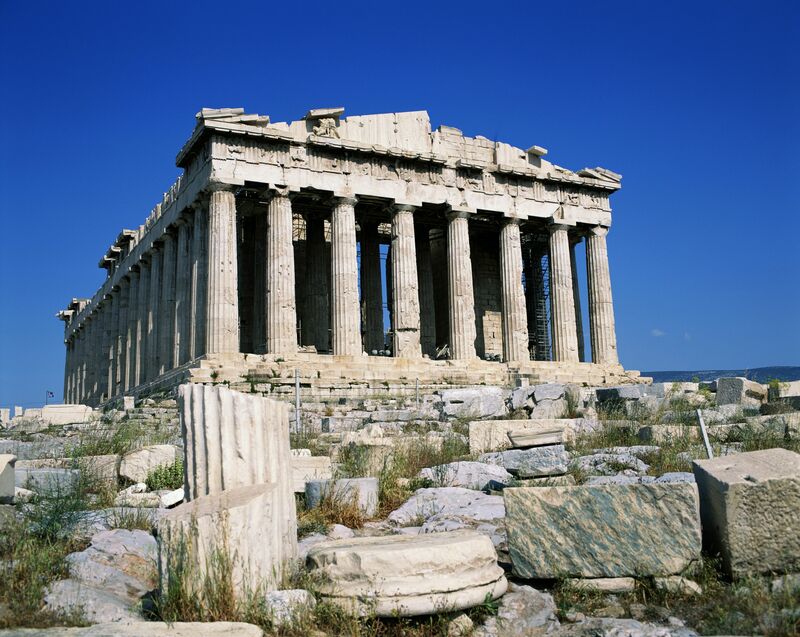 Otherwise, spend another day exploring Athens, or look into day trips to nearby islands! Night in Athens. Get up bright an early to get down to the Piraeus port in Athens for a 7:30am ferry to Mykonos. Both the fast ferry (SeaJets) and the slow ferry (Blue Star) leave at the same time, and both only have one ferry per day to Mykonos. TRAVEL TIP: The SeaJets ferry takes about half the time as the Blue Star Ferry, but it costs about $60 to the Blue Star's $37. We took the fast ferries while we were traveling to maximize the time we had in each location. 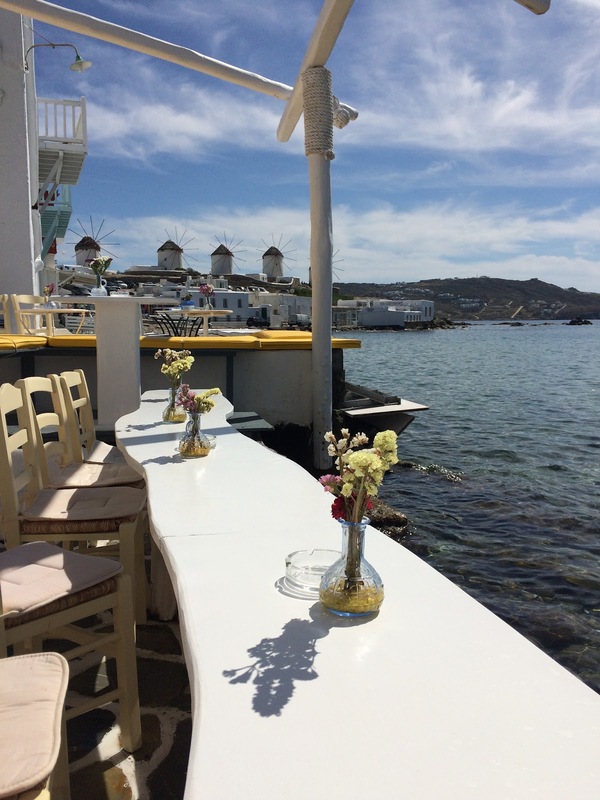 Arrive in Mykonos, find your hotel (many hotels have a complementary ferry pickup and dropoff), and then wander down to Mykonos Town to explore! Find a late lunch and a drink at one of the many cafe and bars by the water in Little Venice or along the old harbor and soak in the atmosphere. Night in Mykonos. Mykonos is known for its beaches, so you should have at least one beach day while there! 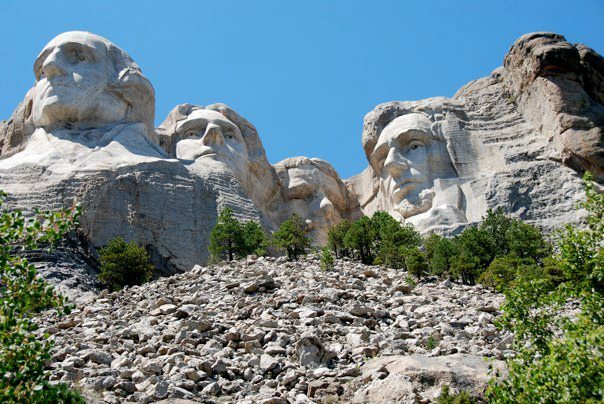 Most hotels have recommendations of their favorites, and often know of drivers that you can hire for transport. There are also buses that run during the high season. 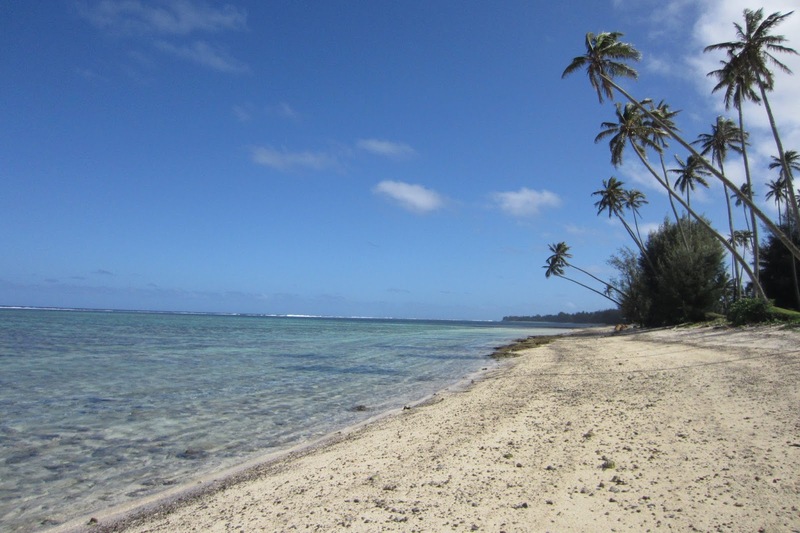 Visit a beach or two, or spend some time at one of the many beach clubs, then head back to town for dinner. Night in Mykonos. TRAVEL TIP: The beaches we visited in Mykonos all had very rough, rocky sand. Bring water shoes with you, or wear flip flops you don't mind getting wet! 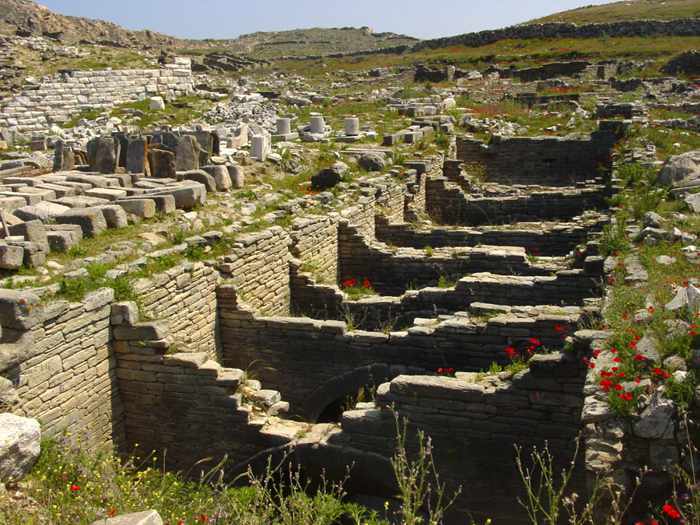 The island of Delos is just off the coast of Mykonos and is a very easy boat ride away. 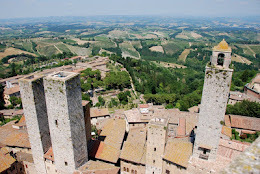 It looks like a very cool archaeological site, and good for some hiking, too! 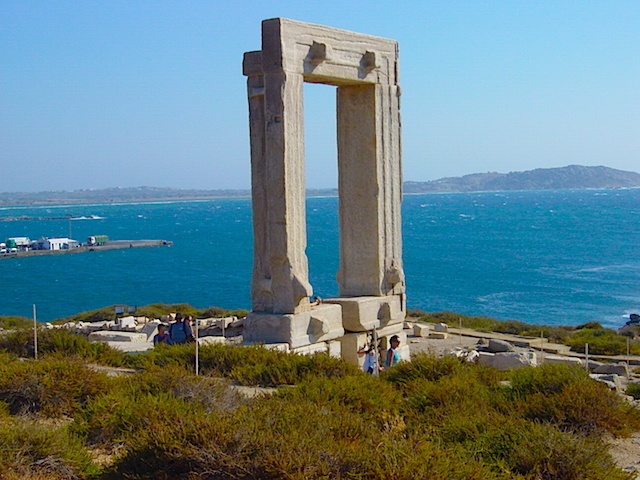 Delos Tours offers both ferry services and fully guided tours, making it easy to customize a trip. Spend the rest of the day wandering around Mykonos town, walking up to the windmills, and exploring the bright white maze of the town. Night in Mykonos. Here's where the choices come in! Should CG decide on one less day in Athens (giving up a potential day trip to Delphi or other islands), OR should they choose to stay one less day in Mykonos or Santorini, they could instead spend a night on the island of Naxos. Naxos is slightly off the beaten path, but it happens to be right on the ferry route between Mykonos and Santorini! It's far less of a "fun island" than Mykonos, but is said to have an amazing taste of Greek culture. Matt Barrett's Naxos guide, plus seeing the island when we briefly stopped there on our ferry from Santorini to Mykonos, made me wish we'd gone last year! Night in Naxos. TRAVEL TIP: Direct Ferries is a good way to search the four different ferry services in the Greek Islands. They'll show you both the shorter trips and longer trips, and the price differences as well! Start the day with a ferry ride to Santorini! Arrive in Santorini mid-day, and get settled, then explore! 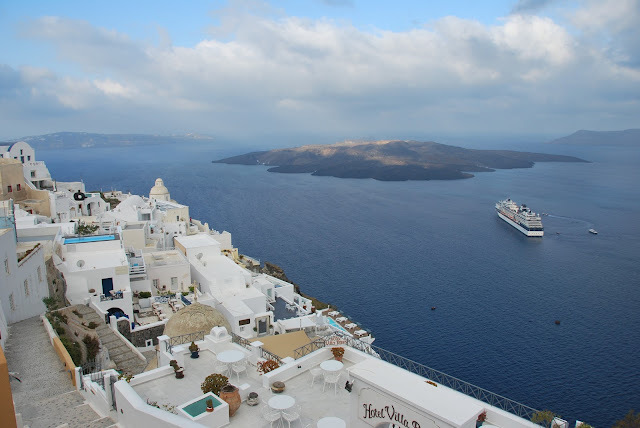 The two main places tourists usually stay in Santorini are Fira and Oia. 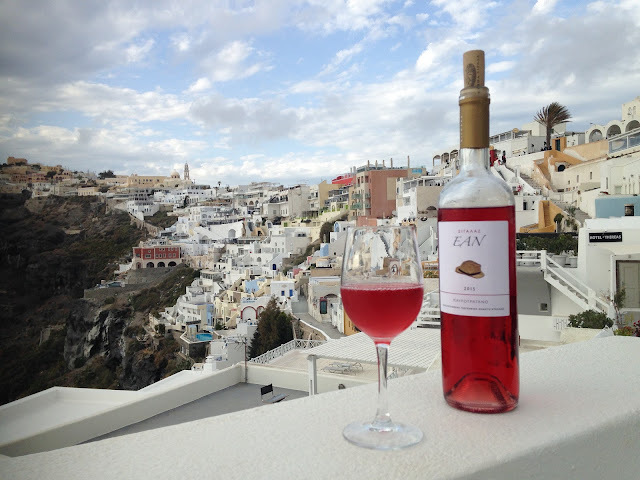 Oia is slightly smaller, quite lovely, and romantic, with amazing sunset views and vistas. Fira is a bit more crowded, but also lovely, and with much easier access to other spots on the island. Night in Santorini. TRAVEL TIP: All of the buses on Santorini leave from Fira. So if you plan to visit other parts of the island and prefer to use buses over renting scooters or 4x4s, Fira is a good place to be! The hike from Fira to Oia (or, if you are staying in Oia, Oia to Fira) was one of the most exciting things we did while we were in Santorini, and I highly recommend dedicating a day in Santorini to this hike. It's not a short hike, and there are lots of hills. 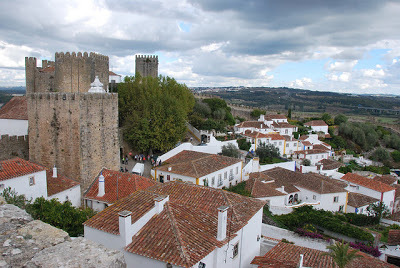 But the views are amazing and it's a really lovely way to see the island. If you're feeling extra ambitious, add the side hike to Skaros Rock to the route as well. If you end up in Oia, find a nice spot for a meal, and stick around for the sunset! 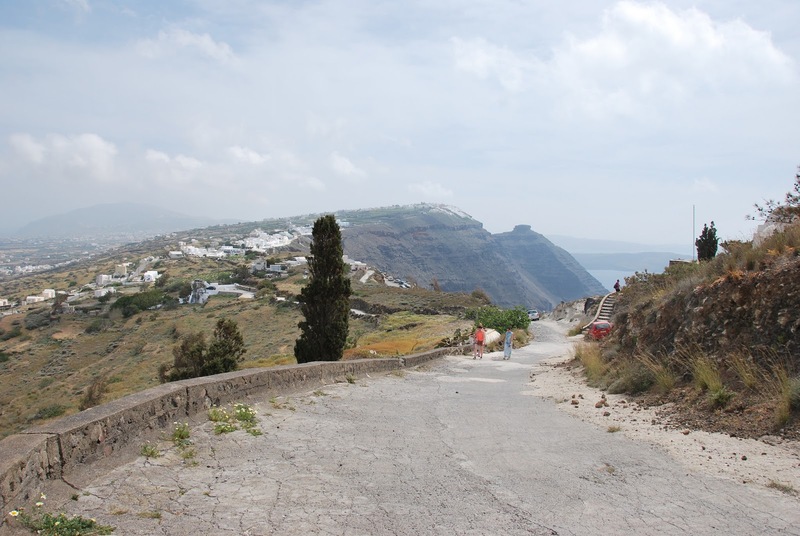 If hiking isn't your thing, check out the volcano and hot springs tours or other things to do in Santorini. (Or, if you're up for it, try both!) Night in Santorini. 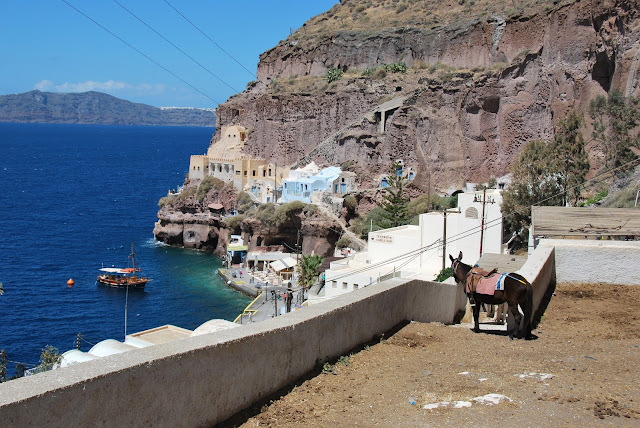 Take the bus from Fira and check out Akrotiri and the Red Beach. 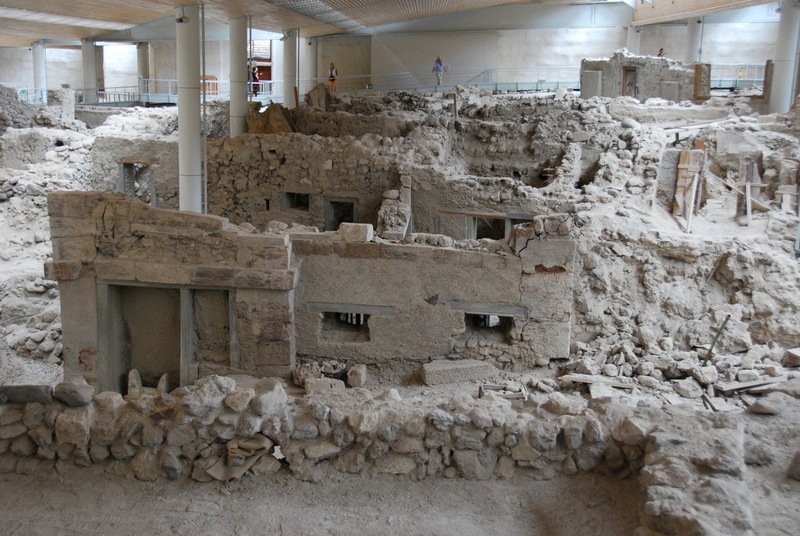 Akrotiri is a stunning site - it's a prehistoric town that was deserted after an earthquake, then amazingly preserved after it was covered in ash from a volcano eruption. It's incredible to walk through an area that had been inhabited since the 5th millennium BC (BC!) - the technology that existed then is astounding. It's a definite must-see while visiting Santorini. Within easy walking distance are a couple of lovely restaurants on the water, and also the "Red Beach," which is unique and worth a visit too! 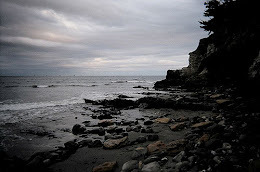 Spend a couple hours there, then head back to the hotel for a relaxing evening. Night in Santorini. For the last full day in Santorini, explore the island some more. Walk down from Fira to the old port, passing cruise passengers taking donkey rides up the hill, and have a coffee and a snack in the old port. Take a cable car back up to Fira to do some shopping and have lunch, then after lunch, find your way to the Santorini Brewing Company and take a tour and sample some local beer! (It's best to call/email ahead and make an appointment!) Then, check out a sunset cruise to Oia to round out the trip! Night in Santorini. The ferry from Santorini to Athens takes up to 8 hours, so find a cheap flight on Aegean Airlines or Olympic Air (they're the same company now but offer different prices and flight times) to get back to Athens. Spend the evening in the Plaka neighborhood having a late dinner and enjoying the ambiance of Greece! 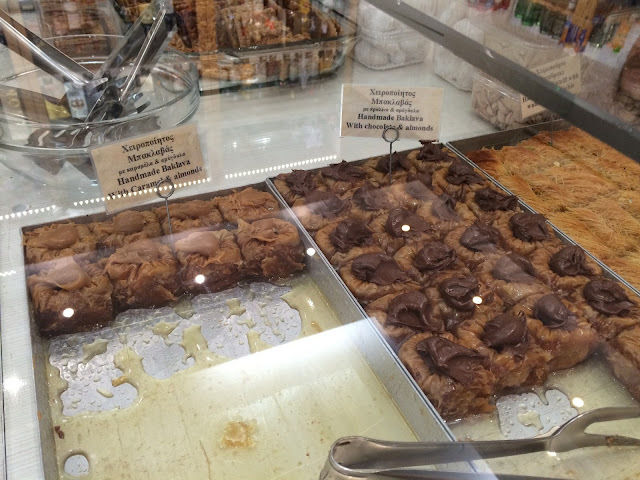 It's also a good opportunity to load up on baklava! Night in Athens. If I were doing the trip again, I would most likely take the optional day in Naxos - however, it's a toss up for folks on their first trip to Greece! 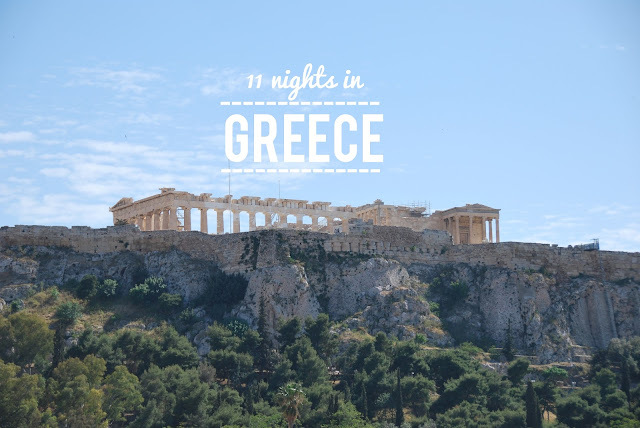 I really enjoyed the islands more than I enjoyed Athens, but if there are more things on the "to see" list for Athens (including day trips from Athens!) then the time there will be well spent! I can't wait to see what CG and her dude end up planning! More detailed posts on our Greek adventures from last year are coming soon!